Other pack size of these tests are available, click here for a full list of available products. This test is simple, fast, reliable and accurate test which detects for the presence K2/Spice (synthetic cannabis) in urine. All tests are CE Marked and FDA Approved, with an accuracy level of 99%. For more information on drugs click here. In the Health Information section of our site, there are details on the most commonly used drugs to help you to become better informed. Click Here for more information. We also offer a variety of drug testing kits for the most common drugs. 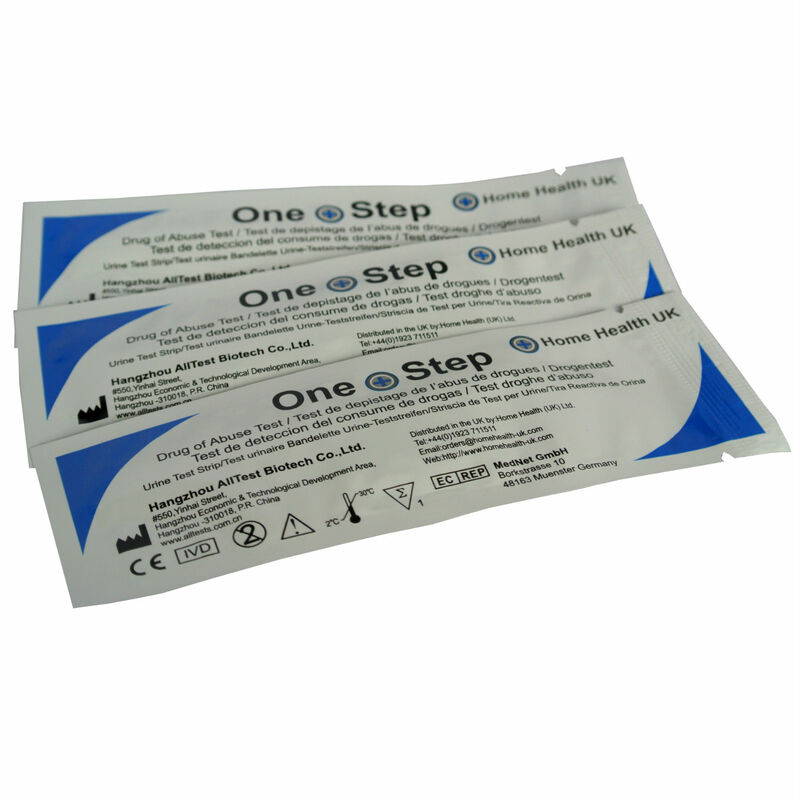 drug testing kits are available with different testing strips so you can choose which drugs you want to test for. When should I do the test? This test can be carried out at any time. Remove the test strip from the foil pouch (do not break the seal of the foil pouch until you are ready to begin the test). Using a plastic cup, obtain a urine sample from the individual who is being tested. 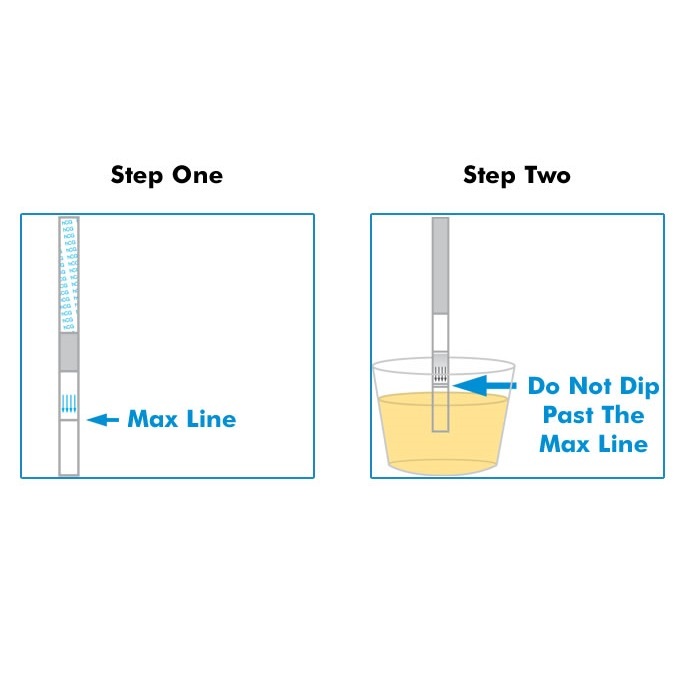 Carefully dip the testing strip into the urine sample, ensuring that the urine does NOT go above the MAX LINE. Allow the test to absorb the urine for about 10-15 seconds. After 15 seconds, remove the test from the urine, lay the test strip on a clean flat surface while the test lines develop. You can read negative results as soon as they appear but positive results must be read at least 5 minutes after removing from the urine. All results should be read within 10 minutes, otherwise a false reading may occur. To read the results of your test you will need to do the following. 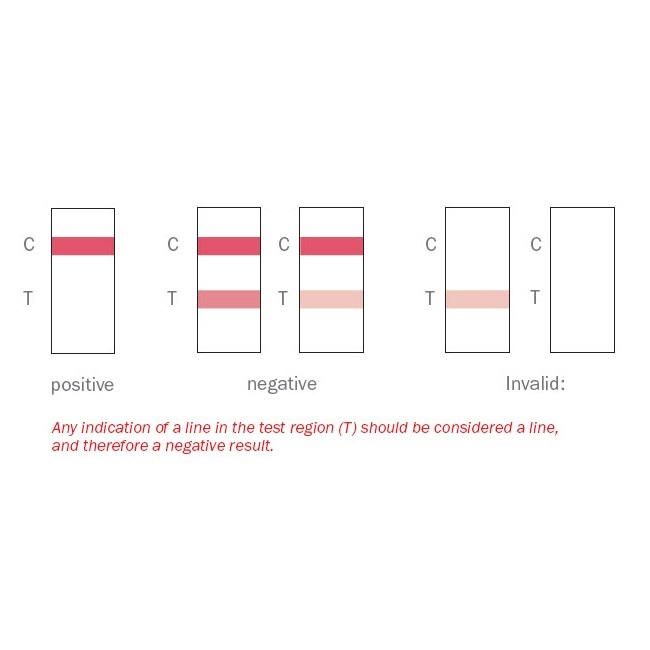 When looking at the test strip you will see a pink/red coloured line just below the test handle. This is the Control Line (C). The next line that may or may not appear below the control is called the Test Line (T). The control line (C), has to show as this confirms that the test strip has worked properly. If no control line appears the test strip hasn’t worked properly and you may need to do a further test. A second pink/red coloured line below the control line, no matter how faint, should now appear. This is a negative result. If no further line appears below the control line then the individual has tested positive for that drug of abuse. What should I do with the results? If you obtain a negative result then the person tested has none of the tested drug of abuse in their body at this time. You may want to re-test again in a month’s time. If you obtain a positive result then a drug of abuse has been detected in the urine. You may want to do another test later, or at a further date to confirm the result.